Classic Movie Man: Happy Birthday, Olivia de Havilland...100 years young! Happy Birthday, Olivia de Havilland...100 years young! Olivia de Havilland (1916) turns 100 today. Not only is de Havilland the last surviving cast member of Gone with the Wind (1939), but she’s also one of the last links to Hollywood’s Golden Age. 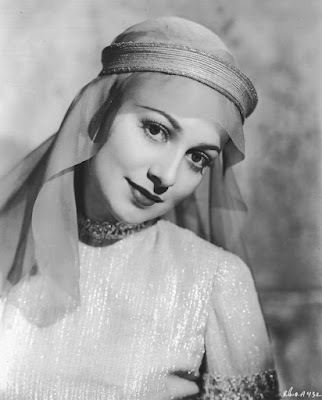 Her career in Hollywood started in 1934 when she signed a five-year contract with Warner Bros.
As a contract player, de Havilland performed in a variety of movies from the classical, A Midsummer Night’s Dream (1935) to the adventure spectacle, The Adventures of Robin Hood (1938). A seemingly effortless performer, she excelled in both comedy and drama. In 1935 she costarred with Errol Flynn in the swashbuckler adventure Captain Blood. Flynn and de Havilland’s classic good looks plus their on-screen chemistry made them one of the movies most popular screen teams. Other collaborations included Charge of the Light Brigade (1938), Four’s a Crowd (1938), Dodge City (1939), Santa Fe Trail (1940), and They Died with Their Boots On (1941). When David O. Selznick acquired the rights to Margaret Mitchell’s best-selling novel, Gone with the Wind, every actress in and out of Hollywood wanted to play Scarlett O’Hara except de Havilland. She had her sights set on playing Melanie Hamilton. Unknown to de Havilland, Selznick wanted her for the part. Jack Warner at first refused to loan her to Selznick, but de Havilland appealed to Warner’s wife and she got the role and an Oscar nomination for Best Supporting Actress (she lost to Hattie McDaniel). 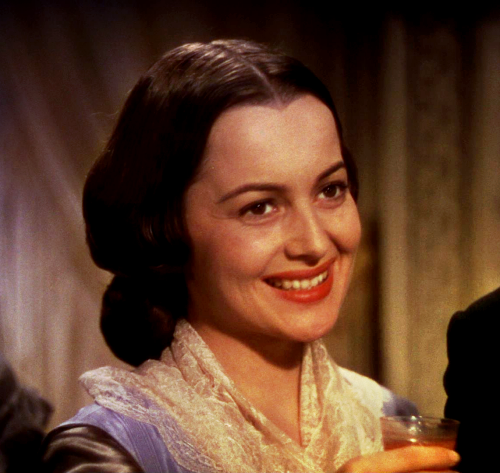 With the success of Gone with the Wind, you’d think that Warner Bros. would have given de Havilland bigger and better roles, but she found some of her best parts on loan to other studios. 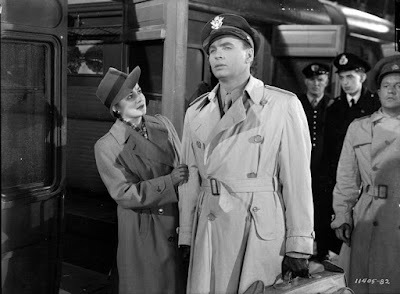 She made Hold Back the Dawn (1941) at Paramount and received her first Academy Award nomination for Best Actress, losing famously to her younger sister Joan Fontaine. Eventually, she would fight Warner Bros. in court over the terms of the typical Hollywood contract and their habit of putting stars on suspension for turning down roles. She won the case and in many ways it was the beginning of the end of the studio system. With her court case behind her, de Havilland signed a contract with Paramount. Her first picture for them was the comedy, The Well Groomed Bride (1946) costarring Ray Milland. But it was her next picture, To Each His Own (1946) directed by Mitchell Leisen, that would be one of her greatest successes. The movie was a hit and de Havilland won the Best Actress Oscar for her performance. 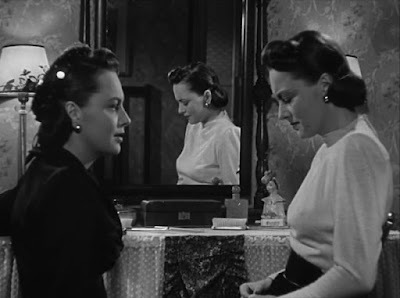 More great roles followed, including playing twins—one good, one evil—in The Dark Mirror (1946). She starred in the groundbreaking film about a woman suffering from mental illness in The Snake Pit (1948). For that performance she was nominated for another Best Actress Oscar. She didn’t win that year, but her performance was honored with awards from the National Board of Review, New York Film Critics Circle Award, and the Venice Film Festival Volpi Cup. With all the honors and new acclaim, de Havilland was in demand; all the major directors in Hollywood wanted to work with her. Another great role came her way when she starred in the William Wyler production of The Heiress (1949). 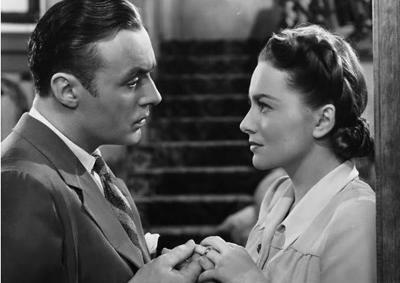 De Havilland’s performance is a tour de force of emotion with her character starting out as an innocent and shy woman to one who becomes worldly-wise, hard and steely by the film’s end. The Academy honored de Havilland with another Best Actress Oscar. Once again, de Havilland was in demand from the best directors in Hollywood. Elia Kazan wanted her to star as Blanche DuBois in A Streetcar Named Desire (1951). She turned that role down, saying she wasn’t able to relate to the character being too happy after the birth of her son. Ironically, the role went to Vivian Leigh, her costar in Gone with the Wind. Leigh would go on to win her second Oscar. 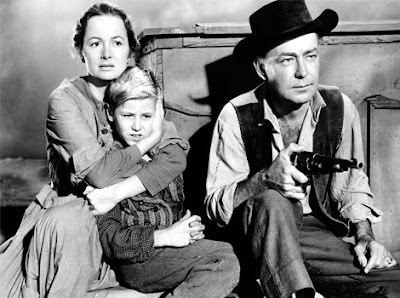 Other big roles came her way including star turns in My Cousin Rachel (1952), Not as a Stranger (1955), The Ambassador’s Daughter (1956), and one of my personal favorites, The Proud Rebel (1958) costarring Alan Ladd who would become a lifelong friend. After the film Libel (1959), de Havilland’s film career began to slow down. She made occasional films like the romantic drama Light in the Piazza (1962), Lady in a Cage (1964), and to the help out old friend Bette Davis, she replaced Joan Crawford in Robert Aldrich’s Hush…Hush Sweet Charlotte (1964). During the 1970s, she appeared in supporting roles in several movies. She also starred in television movies, including Roots: The Next Generation (1979) as the wife of a former Confederate officer played by Henry Fonda. The production reunited the two stars who played husband and wife in The Male Animal (1942). In 1986 de Havilland won a Golden Globe Award for Best Supporting Actress playing the Dowager Empress Maria in the miniseries Anastasia: The Mystery of Anna. A great beauty and a great talent, de Havilland was and is one of the true legends of classic Hollywood. Turner Classic Movies (TCM) is honoring de Havilland as the July star of the month.